An increase in tourists visiting the high Arctic could endanger wildlife. 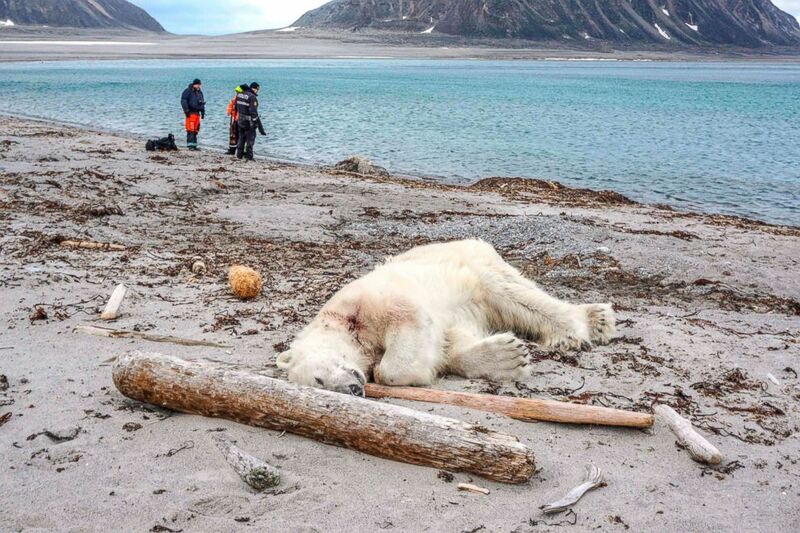 When a polar bear was killed by a tour operator on the remote island of the Svalbard archipelago in northern Norway this weekend, it put the spotlight on balancing tourism growth with environmental protection. The western settlement of Longyearbyen, with a population of roughly 2,000, is the area’s main tourism hub. 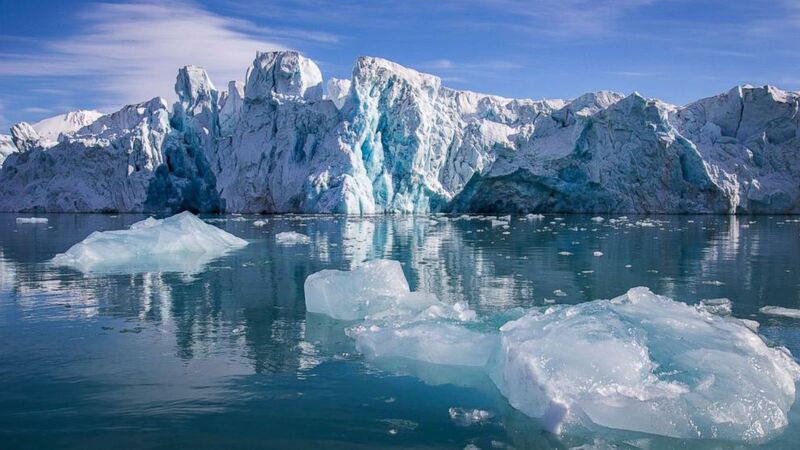 Currently it’s high-season, which means thousands of international tourists hungering for a glimpse of the Arctic’s natural splendor cruise on both small and large ships, occasionally disembarking for land excursions on remote islands. (Gustav Busch/AFP via Getty Images) A dead polar bear lays at the beach at Sjuoyane north of Spitzbergen, Norway, July 28, 2018. The number of cruise and expedition ship passengers has grown from approximately 35,000 people in 2006 to 48,000 in 2016, according to the most recent Svalbard government statistics. Some large cruise liners transport as many as 4,000 passengers, leading to overcrowding in the area. But the polar bear's untimely death renewed discussions about the sustainability of tourism growth near the North Pole. There are roughly 3,000 polar bears living in the less-inhabited eastern part of the Svalbard archipelago. Driven nearly to extinction by overhunting in decades past, the population has been steadily increasing since the 1970s. But their existence remains fragile and, as more ice melts, the bears are forced to travel longer distances to find food. The government forbids visitors from tracking or disturbing the animals in any way, in part because the bears can quickly overheat when stressed, which can lead to their death. But authorities also advise people venturing outside settlements such as Longyearbyen to carry firearms, in case of unexpected encounters. On Sunday, 12 crew members from the German ship MS Bremen landed on the northern-most island of the archipelago to prepare for an on-shore excursion with passengers, according to a statement by the Svalbard governor’s office. A 42-year-old crew member was attacked by a polar bear, which was then shot and killed in what the crew member said was an act of self-defense. The incident is being investigated by authorities, although it is possible that the crew had happened upon a starving bear. "When you have more people coming to the same area in which the polar bears and other arctic animals live, the risk of conflict and disturbance increases -- it’s more of a mathematical law," said Morten Wedege, head of environmental protection for the governor of Svalbard. "Our challenge is to inform and educate and guide people to know how to behave in the high arctic." The incident sheds light on the challenges of tourism growth in the area. 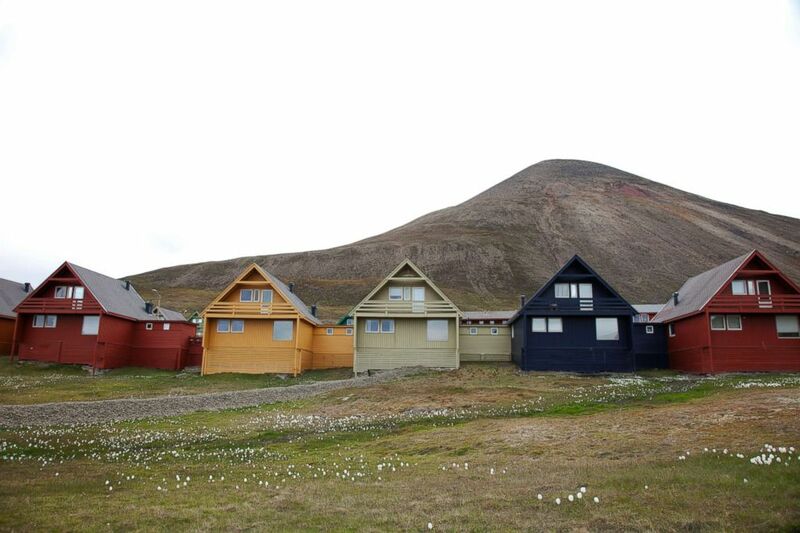 (STOCK/Getty Images) A row of house in Longyearben, Svalbard in Norway. According to Wedege, the main challenge is not in the number of people coming to visit, but what they do and where they go. "Part of the problem in managing the tourism boom is the prevalence of individual tour operators that are not part of umbrella organizations," said Wedege. Such organizations include tourism authority Visit Svalbard and AECO, the Association of Arctic Expedition Cruise Operators, which promotes sustainable tourism. "Individual operations that are not part of a network and don’t know the legislation properly and sometimes don’t know the arctic properly can pose challenges for us." (STOCK/Getty Images) A glacier is seen in Svalbard, Norway this stock photo. One of the founding members of AECO is Norwegian tour operator Hurtigruten, which runs relatively small explorer cruises with ships of up to 500 people. "We think that with professionalism and having guidelines, a field landing in Svalbard can easily be done in a safe and environmentally sustainable way, even with 100 guests at a time on shore," said Jørn Henriksen, head of polar operations and environment for the company. By contrast, he added, "an uneducated, unprofessional crew on a sailing yacht can do quite a damage, even with only four to five people." Nature tourists come to the Svalbard archipelago to see the polar bears, as well as its 170 species of flora, various sea birds, foxes, voles and the unique Svalbard reindeer. Another reason they come, Henriksen said, is an increased interest in understanding global warming. He described Svalbad as "a canary in the cage" for the rest of the world when it comes to sensing global warming-related environmental changes. One of those changes is less ice. "Svalbard is also becoming more accessible because there is less ice and conventional ships can sail in this area," Henriksen said. That easier transport also means cheaper prices that could attract more tourists as the years go on. At the moment, typical arctic expeditions can cost upwards of $1,000 U.S. per day. To adapt to the changing tourism industry, the government has rolled out additional legislation in recent years to protect Svalbard, which already has some of the strictest environmental regulations in the world, according to AECO. "Major nature reserves in the northeast can only be visited by ships with less than 200 passengers," said Wedege. "Within those reserves, you have some minor islands where you’re not allowed to enter when birds are breeding." The government’s next plan is to create a full-scale management plan for Longyearben, where larger cruise ships dock. It will include an assessment of the vulnerability of certain sites, and determine what needs to be done to preserve them, he explained. "There should be a debate whether we should shield larger areas from traffic," Wedege said, "or have more legislation saying how you can behave and how many people there should be."